Power Up Your TL Kit! 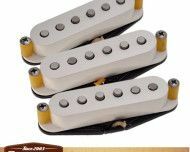 A higher wind on Alnico III magnets makes these Hot Classics a must for the rock and blues player who want more edge from their telecasters. Hot Classics have a stronger midrange, thicker bass response and a raunchy upper register. The Alnico III magnets offer great note separation, even for chord work using boost and overdrive pedals. Tone Guide: Loud, spanky, complex with a clear bass and strong mids. A Telecaster Set that looks as good as they sound! Tonerider telecaster pickups use two of the best-sounding vintage winding patterns combined with our own reproduction parts to deliver amazing tonal clarity and response. 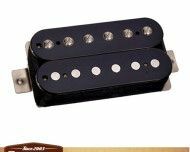 Used by leading custom guitar makers, these pickups are RWRP, so when using a Tonerider neck and bridge set you can be sure of hum-free operation in the middle position of your three-way switch. Our own Tonerider nickel-silver covers in gold and nickel plating – no more dull neck tone! Calibrated winding for even volume balance across all three standard positions. Latex tubing and nickel-plated screws are included with every pickup. 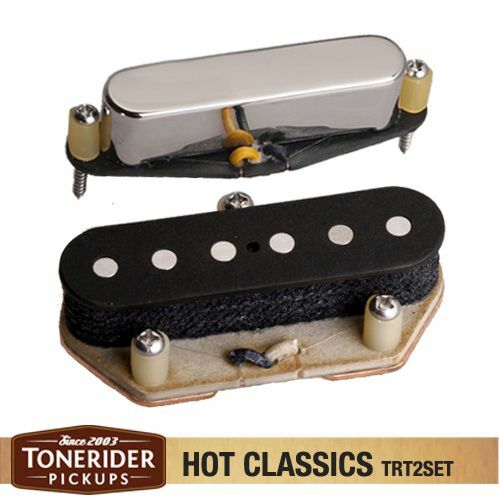 FREE Shipping on all Tonerider pickups to anywhere in Australia.